I’ve been photographing Kamden since he was about 5 days old. 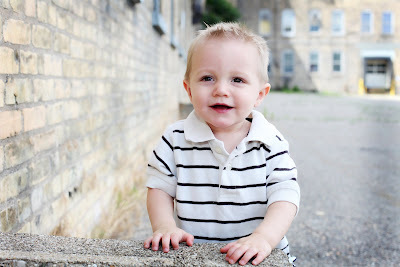 Here are few of my favorites from Kamden’s one year session. This week’s I ♥ Faces contest is Sepia toned photos. I took Ellie’s 1 year photos a little over a month ago. Here is one of my favorites. Check out the other entries at http://www.iheartfaces.blogspot.com/ .